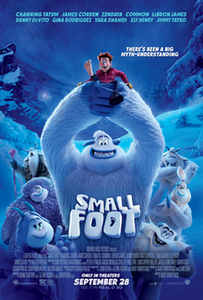 The Prospector Theater announces a special Sensory Screening of Smallfoot on Sunday, October 28 beginning 11:00 am. Sensory screenings feature softer sound, the theater lights glow not-so-dark, trailer-free pre-show, Prospects are available in-theater during the movie to offer assistance, and a quiet space is available for moviegoers who need a break. Sensory Screenings are designed to be the ultimate inclusive moviegoing experience for the whole family. The Prospector Theater is located at 25 Prospect Street in Ridgefield.